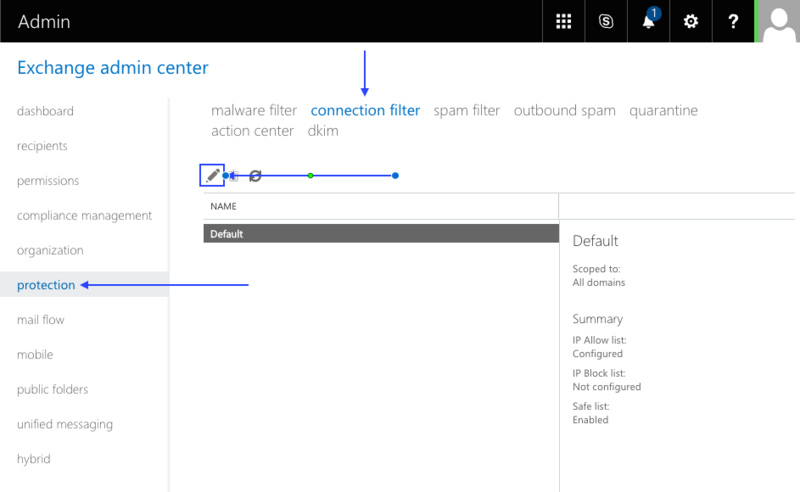 This article consists of the instructions on how to correctly setup HENNGE Email Archive so that it is fully functional within your Office 365 domain environment. 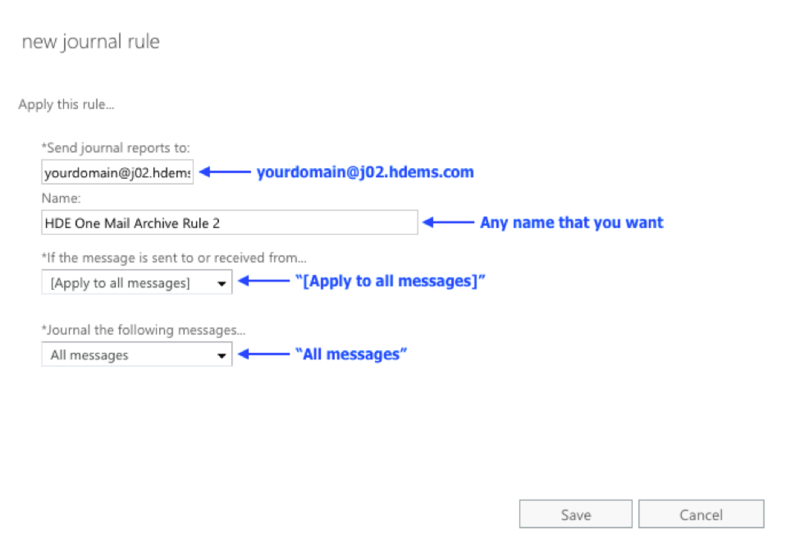 After completing this setup, you will be able to start using the features of HENNGE Email Archive. Purpose - To add a Journal Rule to allow our system to archive all the mails. 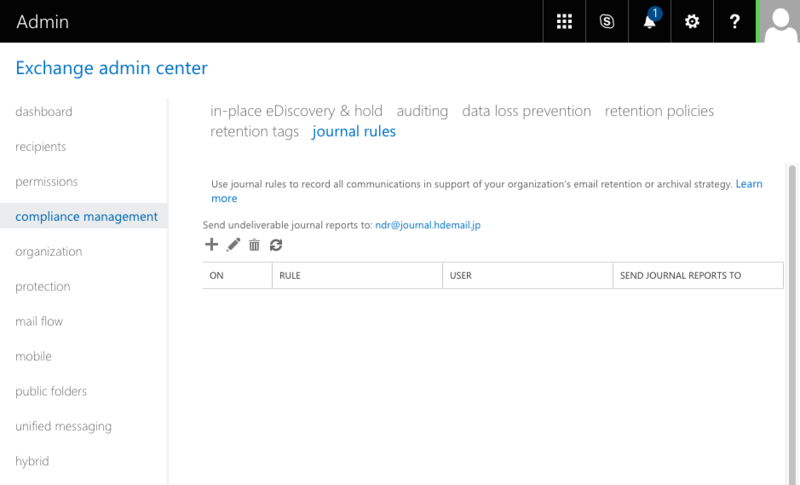 Provide a Screenshot of your Office 365’s Journal Rules to Us as we need the list of your existing Office 365’s Journal Rules. For us to be informed about this information is to ensure that no conflict will happen during the process of the setup. Step 2 - After clicking the “Edit” button, a small window will pop up. Go to “connection filtering” and click on the add button to input the IP address into the IP Allow list as shown as below. 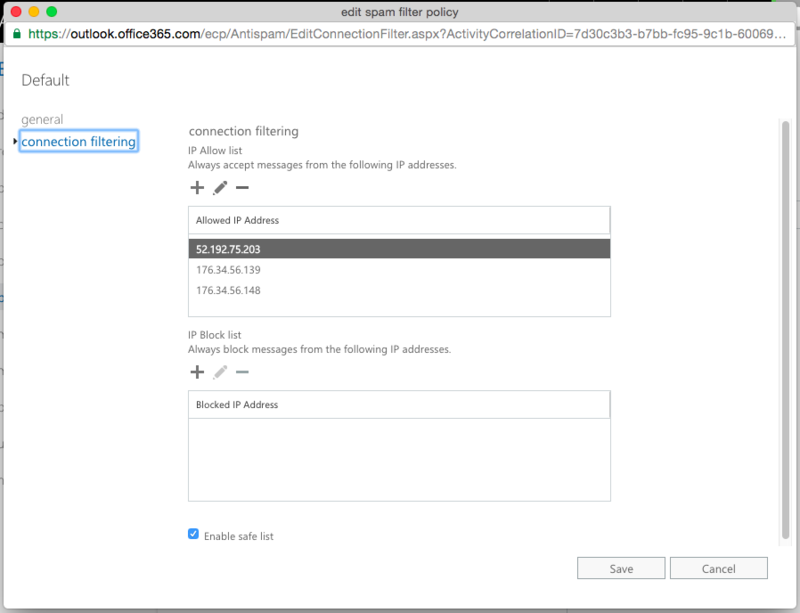 The IP address of our server can be found in your Connection Settings document that we have provided with the name “Allowed IP address”. Also, please ensure the “Enable safe list” is checked. Click “Save” to complete the process. 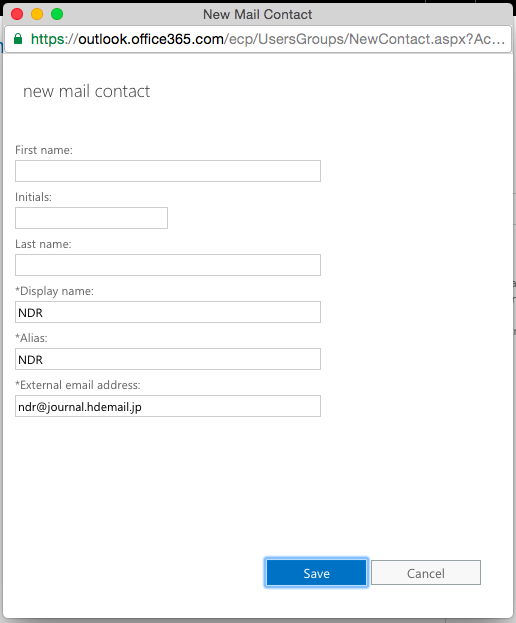 Step 1 - To start the Journal Rules setting, go to "recipients" and click “contacts” -> add button to add a new contact information into your Office 365 system. Display name: NDR or any other name of your choice. 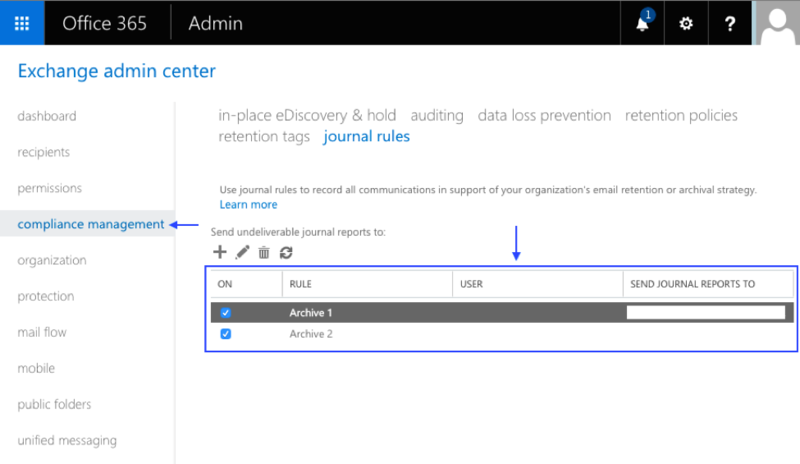 Step 3 - Log on “Exchange admin center”, go to “compliance management” -> “journal rules” -> “Select address” for “undeliverable journal reports”. 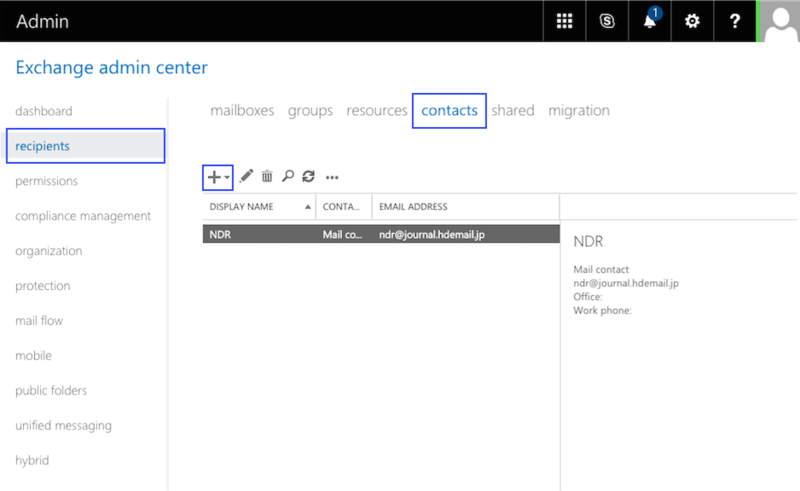 Step 4 - Click on “Browse” to select the newly created contact “NDR”. 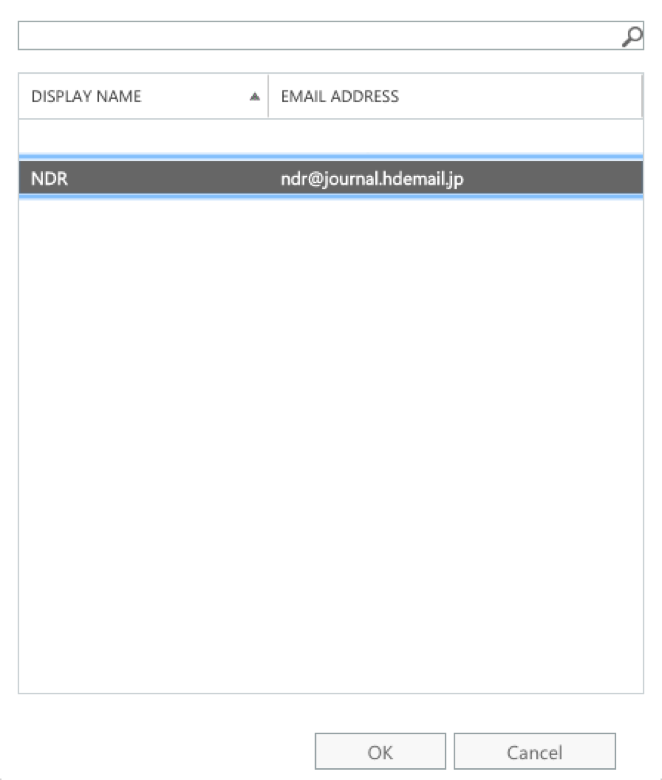 Search and select the contact “NDR”. Step 5 - While you are in the “journal rules”, click on the add button to create a new journal rule. After completing this step, you have now completed the entire setup for HENNGE Email Archive with Office 365.